The holiday shopping season is upon us, which, for many, kicks off a bizarre cascade of delight, frustration, overwhelm, and stress. We love to give presents…but we’re also trying to stick to a budget…and our friends are trying to declutter, just like we are…but we want to express our love and it’s fun to give gifts…but, and, but, and, but…you get the picture. Holiday gifting can be complicated! 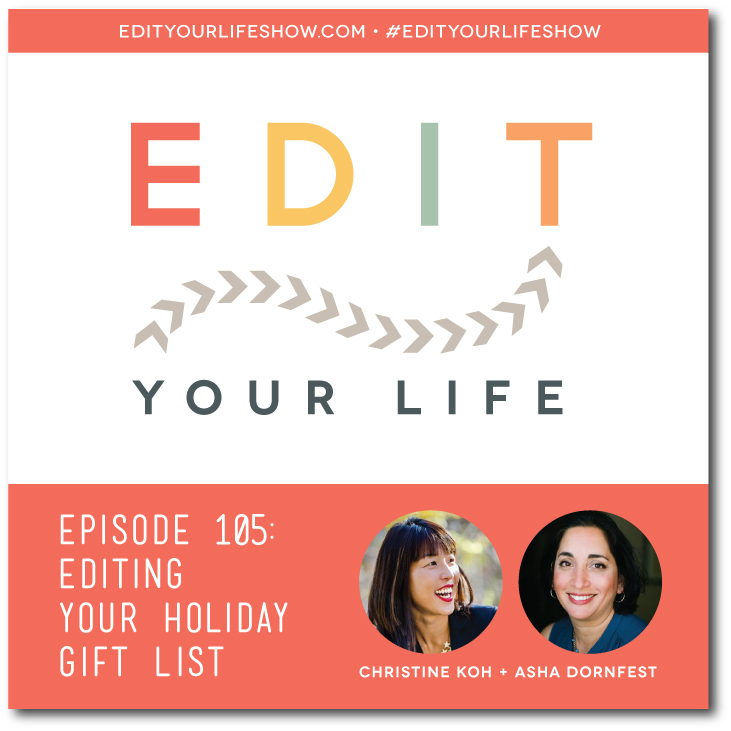 In Episode 105 of Edit Your Life, Christine and Asha share 8 tips for editing your holiday gift list without tamping down your generosity, including perspective shifts to help you refocus on connection instead of obligation, how to get organized, clutter-free (and in some cases, virtually cost-free) gift alternatives including gifts that give back, plus tips for communicating with your family so everyone’s gift expectations are on the same page.